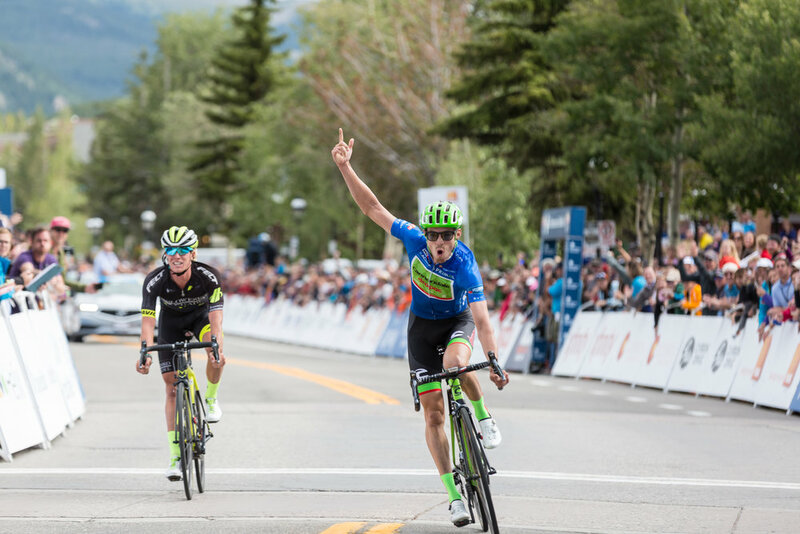 BRECKENRIDGE, Colorado (August 11, 2017) – TJ Eisenhart (Holowesko/Citadel Racing p/b Hincapie Sportswear) staged a day-long assault on a demanding course that left many riders gasping for air, but was overtaken at the finish by Alex Howes (Cannondale). “I really wanted to win here today because I knew whoever takes the win has best shot at overall. This is one of those few races without a time trial and to get the win today was pretty special,” Howes said. Eisenhart, who donned the Gates General Classification Leader’s Jersey after Friday’s stage with a one-second lead over Howes, led for most of the race, finishing the ninth lap with a lead of 35 seconds over a five-rider chase group. The Utah rider was joined in an early break by Daniel Eaton (UnitedHealthCare), but raced most of the second half of the 10-lap race solo. He was reeled in halfway through the 10th and final lap by Howes and Peter Stetina (Trek-Segafredo) shortly before the summit of the day’s chief opponent for all riders: the Moonstone climb. The trio raced into Breckenridge at speeds approaching 50 mph, but it became a two-man finish as Howes then outdueled Eisenhart down the final stretch. Friday’s stage win was Howes’ third of the season. He won the first stage of this year’s Cascade Cycling Classic the the mountains classification at the Tour of the Basque Country. The fearlessness riders took into the final corners was on full display as Sepp Kuss (Rally) blew a tire and crashed on the second-to-last turn. He was able to remount his bike and limped across the line. Over a total of 10 laps, the male competitors faced more than 7,320 feet in elevation gain. The men’s Stage 2 race kicked off at Main Street, and took the cyclists through a series of roads before leading to the pinnacle of the race: Moonstone Climb. Men’s Stage 2 featured extreme elevations followed by rapid descents, and following Moonstone climb, the men’s cyclists faced the Illinois Gulch descent. In just 64 miles, the male competitors faced challenging switchbacks and tight, fast turns ten times. Canadian Sara Poidevin (Rally) pulled away from the women’s field on the fifth of six laps to win the Gates General Classification Jersey and the honors of being the first-ever women’s winner of the Colorado Classic. Poidevin’s ride on Friday was so dominant that she walked away with three other jerseys as well: Colorado Tourism Queen of the Mountains, Drink RiNo Sprint Leader, and Helix Best Young Rider. Poidevin, whose pro career began last year, entered Friday with conservation on her mind. “I had good confidence coming into today. My strategy was using my energy wisely,” she said. "I knew that I was outnumbered, especially by UnitedHealthcare," Poidevin said. "Going into the second-to-last lap, I really wanted to make sure I wouldn’t get worked over by them because they had so many riders in the front group. My only thought was to try to get up the road with Abby Mickey and work with her. Once I started going, no one was on my wheel, so at that point I had to go. If the UHC girls were all spread out they couldn’t work together, either, so I knew that if I was working hard, then everyone else was working just as hard."  Second-place finisher Tayler Wiles (UnitedHealthCare) experienced the Moonstone Climb during a stage of the U.S. Pro Challenge in 2015. “When I did this race a few years ago in the time trial, I knew going into today it was going to be hard,” she said. “But I liked the circuit format (this year). It was a great race. Sara was impressive, the crowds were amazing, I loved the course and Sara deserved the win,” she said. Women’s race director Sean Petty said it was great to have women included in the inaugural Colorado Classic and racing on the same courses as the men. Abigail Mickey (Colavita/Bianchi) of Boulder finished third overall and also won the Acura Best Colorado Rider Jersey. “To be the best Colorado Rider is a complete honor for me, I love this state,” said Mickey, who was born in Aspen and started racing competitively her senior at the University of Colorado-Boulder. The women’s Stage 2 race faced the same intense elevation gains and descents as the men’s Stage 2 race did. Over a total race distance of 38 miles, the female cyclists faced five laps of Moonstone climb and Illinois Gulch descent. The women’s Stage 2 race pushed the female competitors to greater heights, with the overall elevation gain totaling around 3,660 feet. Tomorrow’s Stage 3 race, presented by Drink RiNo will take the men’s cycling teams to Denver for a strenuous, 81-mile single-lap race that will put the riders to the test with a massive, gradual elevation gain, sandwiched by equally difficult sprints.